A.H.T. 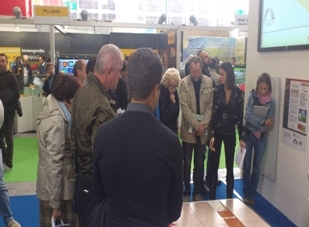 Advanced Heating Technologies Ltd through its national and regional partners Santoni and Solgea srl participated with unprecedented success in the SAIE RICOSTRUIAMO L’ITALIA 2012 Exhibition in Bologna – Italy which took place between the 18th to the 21st of October 2012. 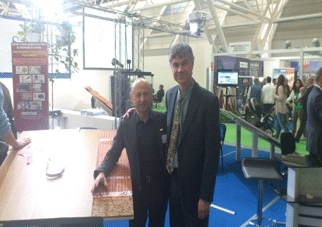 The unique AHT electric underfloor heating indoor and outdoor systems were presented enthusiastically and in the most professional and impressive way by the SOLGEA team led by Mr Carlo Desiato. Assisted by Mr Edoardo Marabese and Alberto Santoni the whole team worked tirelessly throughout the duration of the exhibition explaining the unique advantages of the AHT systems. 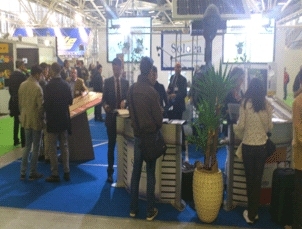 Thousands of professionals passed through the Solgea stand and hundreds of new contacts have been established from all over Italy as well as from other European, Asian and African countries.